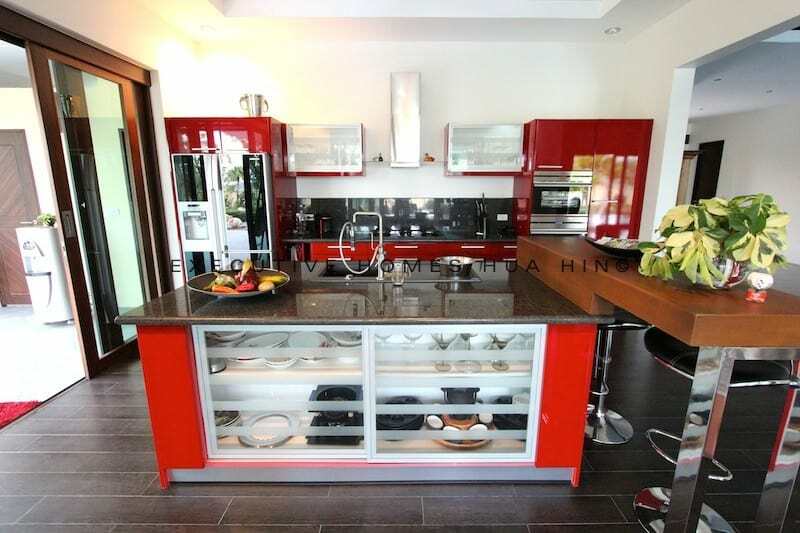 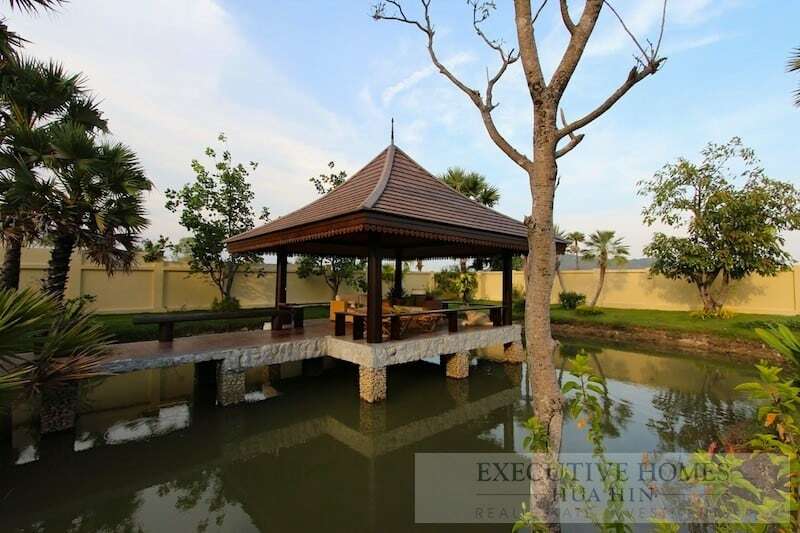 Have you been searching for a luxury bali home with view for sale? 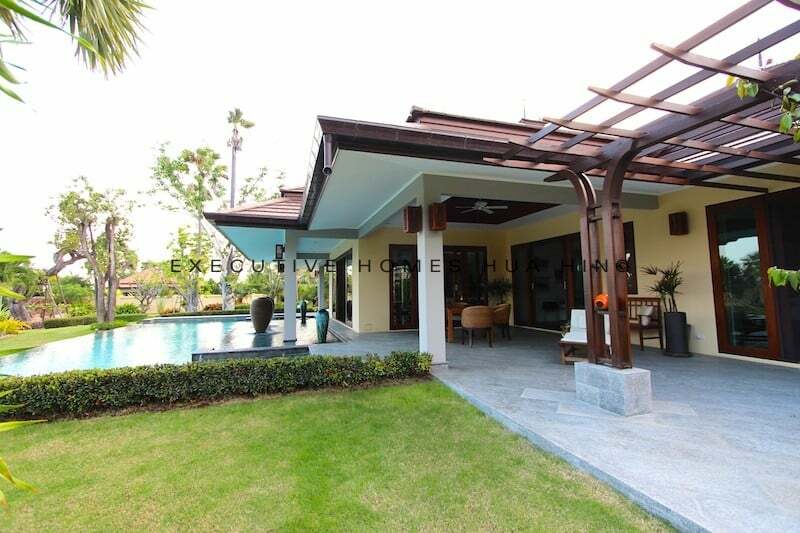 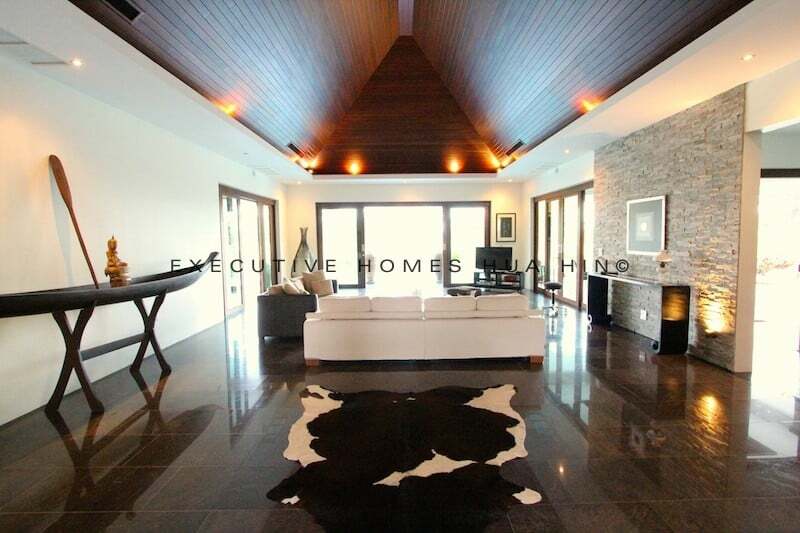 Perhaps this stunning, custom built private pool villa is what you’ve been looking for. 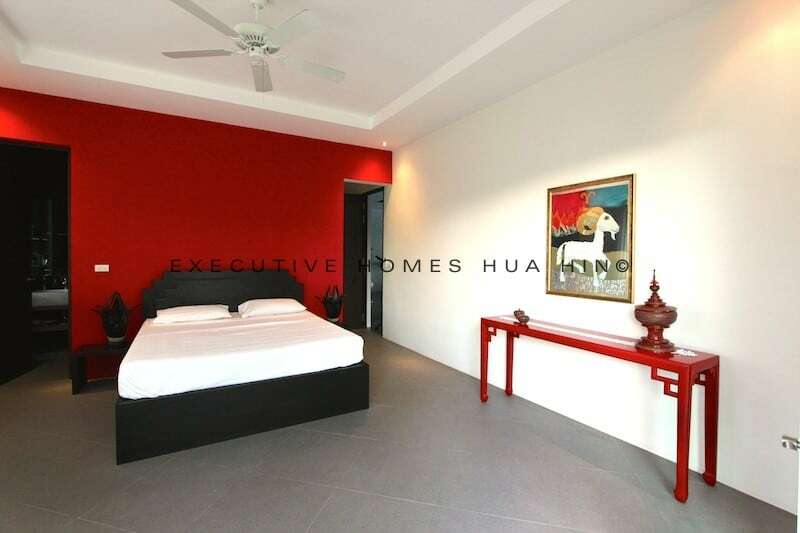 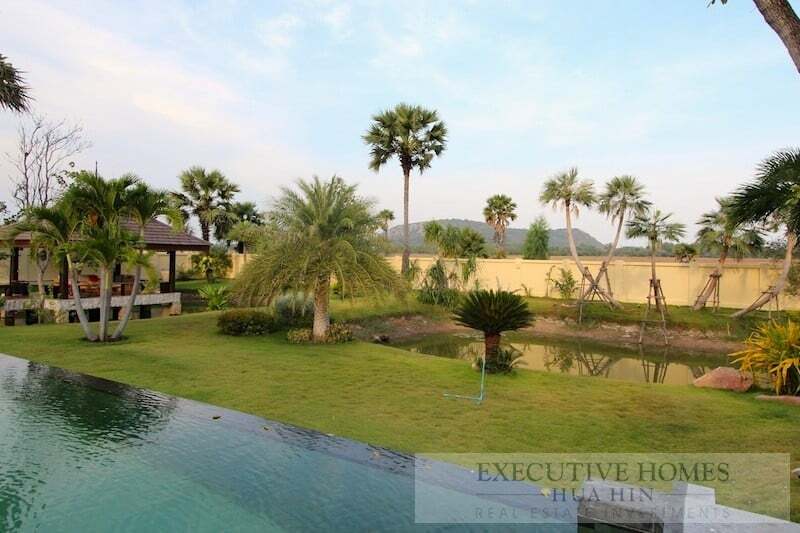 This lovely home has been strategically designed to take advantage of the near constant sea breeze (beach is only 1km away), the beautiful views of Kao Kalok beach mountain, and the magnificent, manicured gardens surrounding the house. 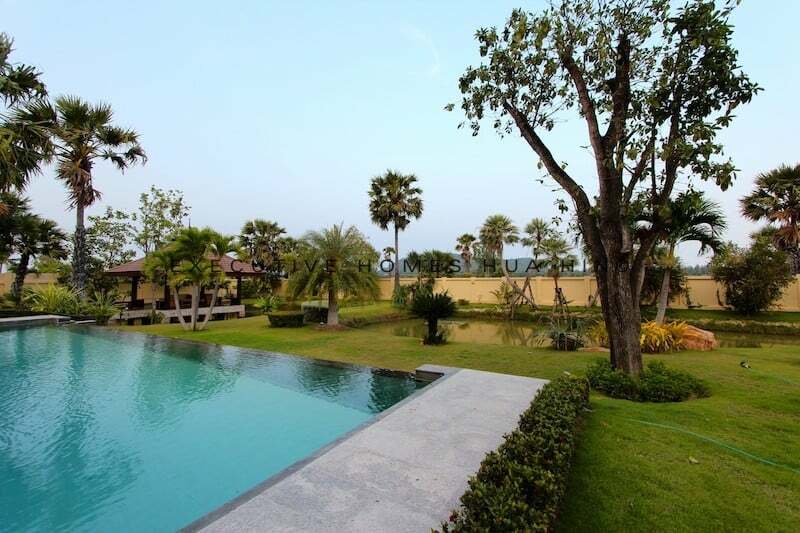 One of the best features of this private thailand property is the spectacular tropical garden, with over 3,000 square meters of perfectly manicured lush trees, plants and flowers. 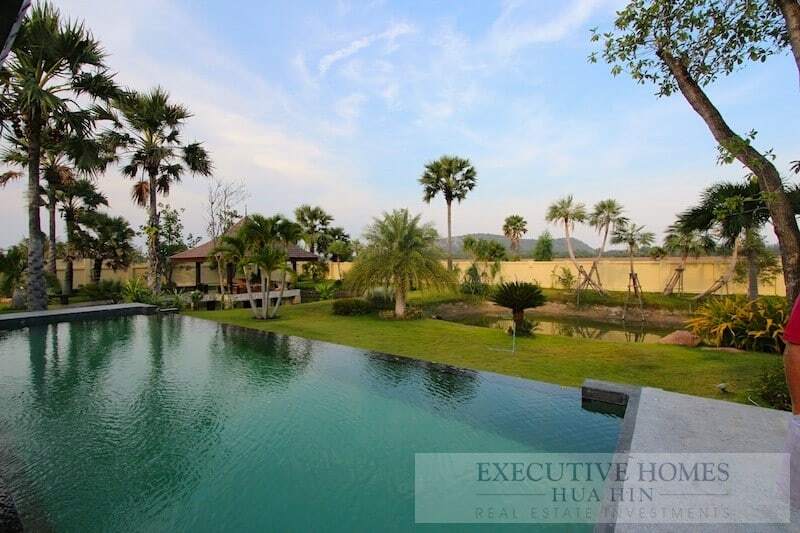 The home sits in front of 2 private lakes (1 with waterfall, 1 with a covered sala directly over the lake), a large koi pond, and special, imported trees worth over 2M THB! 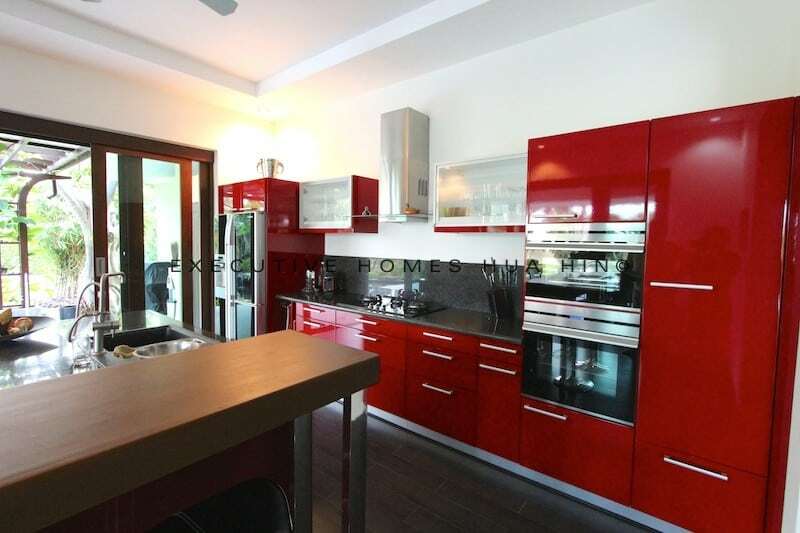 The house was built with the highest quality imported materials, including Brazilian granite flooring, teak wood cathedral ceilings, ultra modern (western-style) kitchen, high quality bathrooms fixtures, etc. 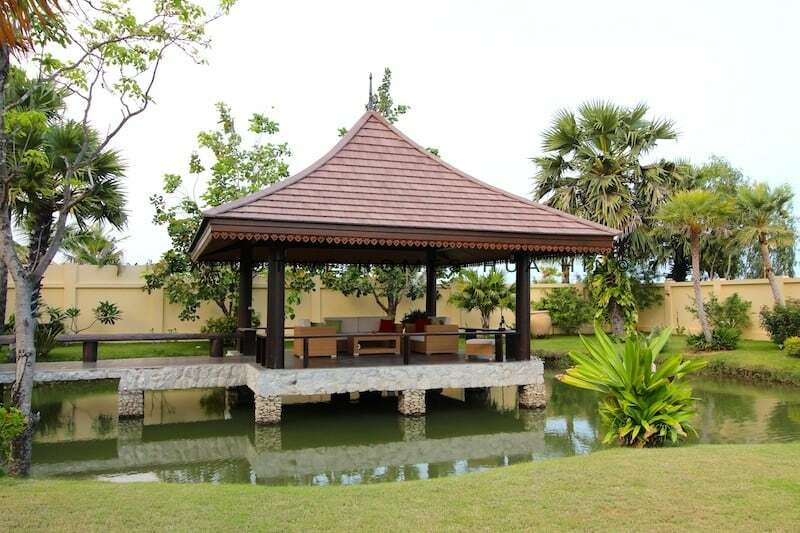 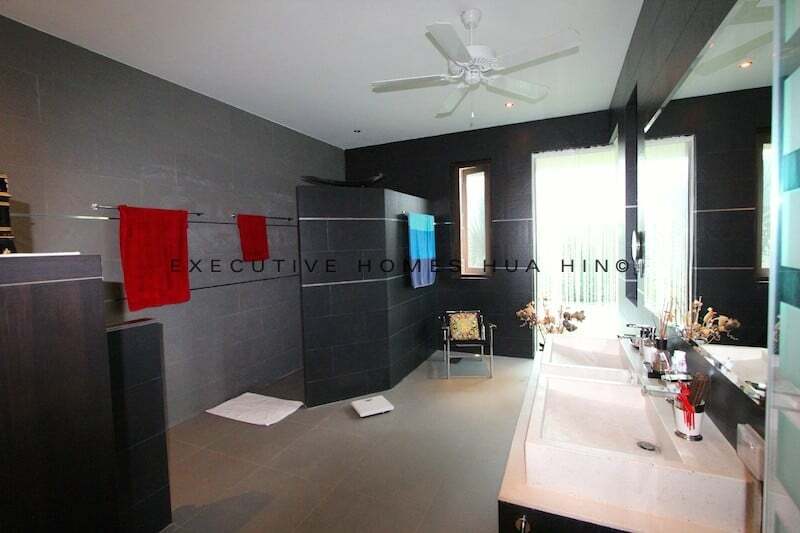 This private pool villa comprises of 4 bedrooms in the main living area, plus a separate guest house that can also be used as staff quarters with en-suite bathroom and another private living room, just for your guests or maid. 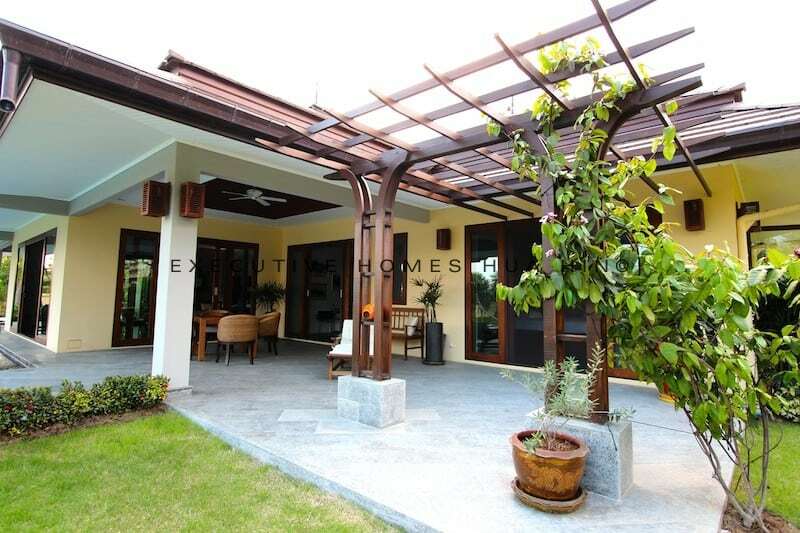 There is a covered carport for 2 large cars and a very long driveway with two entrances/exits and two remote controlled electronic gates. 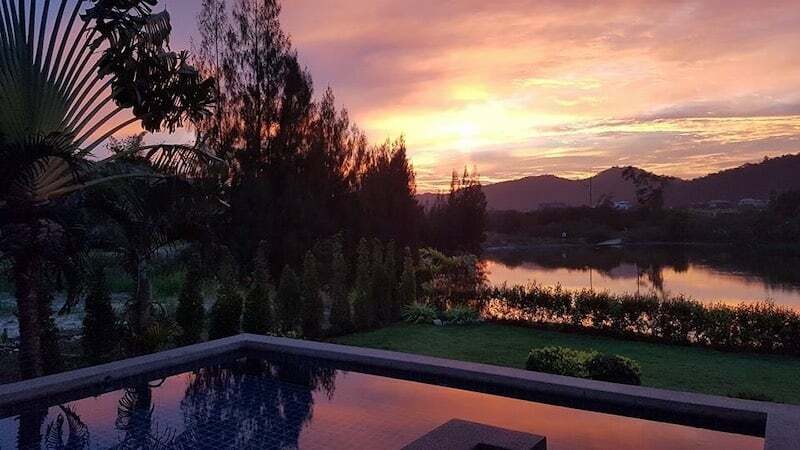 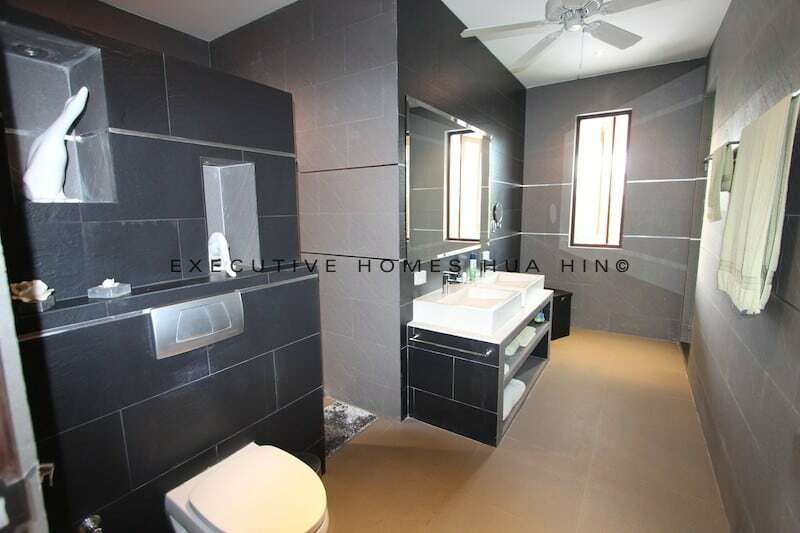 The house is situated at the outer edge of the completed development of 40+ high-end homes (no two houses are alike), and has a fantastic view and extra privacy. 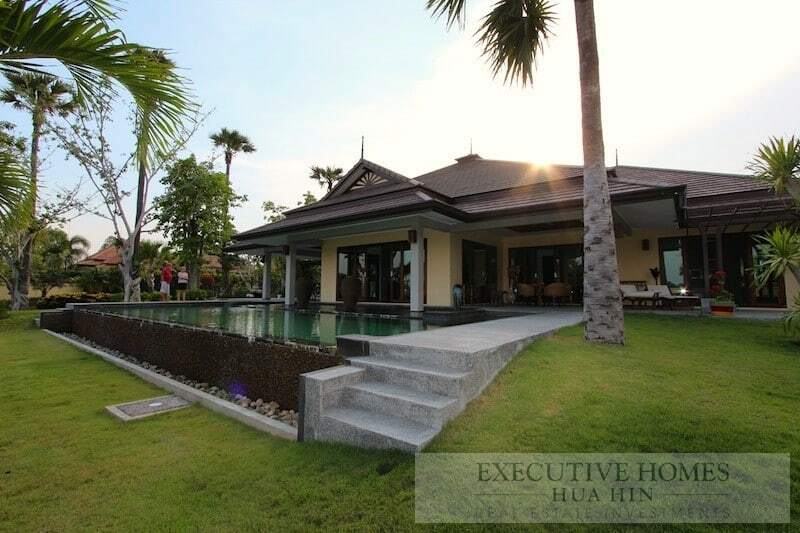 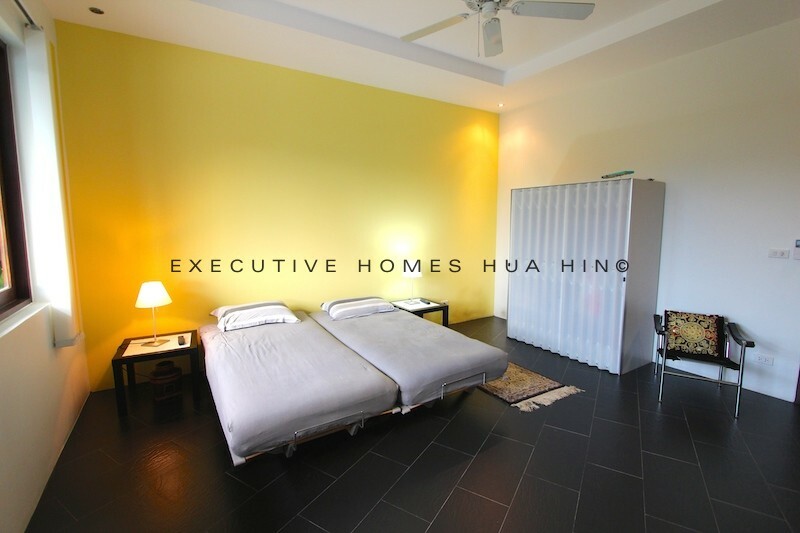 The beach is only 1 km away, and Hua Hin town center is less than 25 minutes by car. 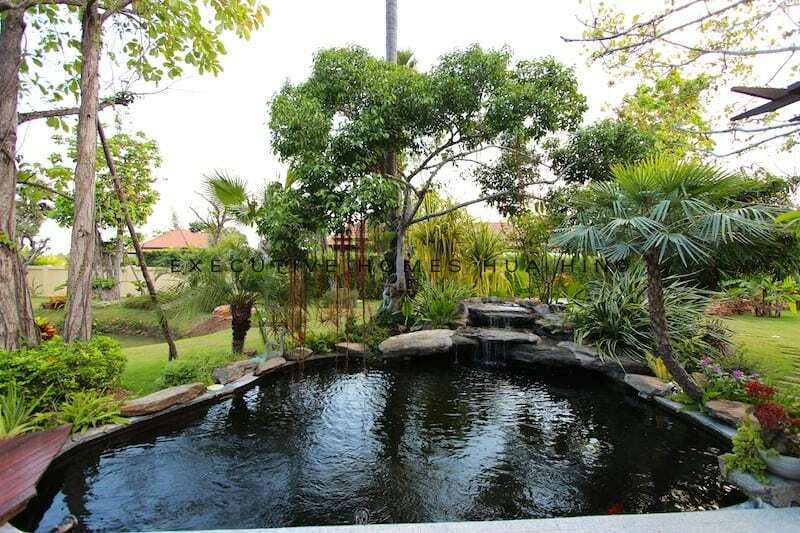 This private development has no communal fees, and the majority of residents are full-time residents. 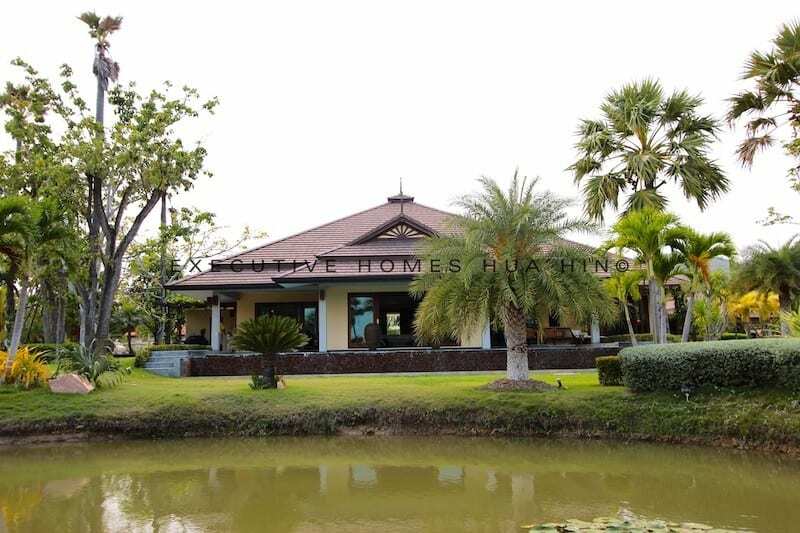 The house is located near high-end resorts, gourmet restaurants, and many other fun amenities and natural Thai wonders.